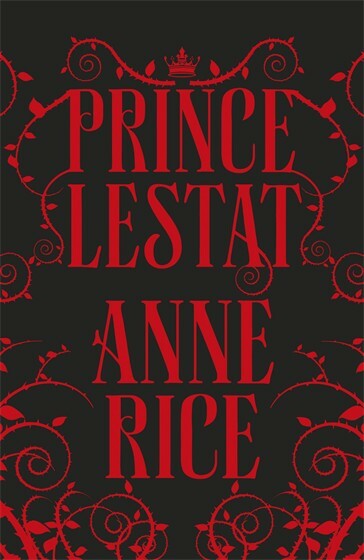 Few novels have had as much of a lasting impression on me as Anne Rice’s The Vampire Lestat and Queen of the Damned. I have read them so many times, now. I have, of course, also read the other novels in the Vampire Chronicles. It was with considerable anticipation, then, that I started this long-awaited new novel. It did not disappoint. An ambitious expansion of the existing mythology, and an engrossing update to the lives of Lestat and the undead tribe. It has been 11 years since Blood Canticle, the previous novel in the series. However, in many ways Prince Lestat felt far more like a direct continuation of the story in The Vampire Lestat and Queen of the Damned — it has the same, milennia-sweeping scope, and is as much about the characters in the past as it is in the present. This, I think, was a smart move — many readers were disappointed with the series post-Tale of the Body Thief (although I enjoyed Memnoch the Devil just as much). In some ways, one could see this as the novel fans of the first five novels have been waiting for. Even though Lestat is very much at the centre of the story — where else could he be, really? — Rice also gives us mini-biographies of a host of new characters. This was certainly a strength of the novel, but it also felt like Rice was massively expanding the mythology and scope of the world she’s created. This had the potential to be a disaster, but she pulls it off with aplomb. The new characters are introduced well, and we learn a lot more about the early years of Akasha’s reign of terror — well, sort of. We learn that certain things happen, but we’re not given any in-depth recounting of the conflicts between the First Brood and the Queen’s Blood. The returning characters are all on top form and further developed. Rice includes pretty much everyone we’ve met over the course of the novels, and we catch up with them and learn of more connections and shared histories. Makers are introduced. There are more Children of the Millennium (more than I thought would have survived, and also more than I originally thought or remembered there existing). The new characters are varied and interesting, and in a couple of instances very surprising. Rice throws in some twists and shocks (end of Act II had me stunned, a moment so shattering for the world she’s created). We learn more about the history and founding of the Talamasca — I have a feeling there might be a novel in this coming in the future, though I have no confirmation on this (I would certainly read it). As for the writing? It is more restrained than, say, Blood and Gold, but retains the flair and slight-floridness I’ve come to find comforting and familiar. The early chapters, which are really a catch-up for readers who have been away for a while, had the same feel and style of my two favourite novels in the series. (There’s some re-cap of previous novels, but because we’re jumping forward we also see what Lestat has been up to for the past decade or so.) There were moments when things veered a little closer than I usually like florid, and there is perhaps an inordinate amount of time spent on describing what characters are wearing, but ultimately I sank right into this, it felt so familiar. If you are a fan of the series, then you should enjoy this (or love it). It will upend a fair few things you know about the supernatural and undead world Rice has created. There are shocks and surprises. But, most importantly, Lestat is himself: the Brat Prince, schemer, lover, loner, friend, and antagonist. Highly recommended for all fans of the series. 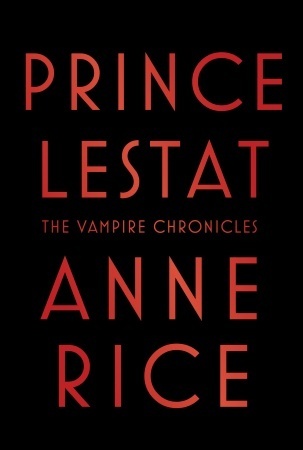 Prince Lestat is published in the UK by Chatto & Windus and in the US by Knopf.